At a fundraiser in Sea Cliff last Wednesday evening, former Nassau County Executive and Mayor of Glen Cove Tom Suozzi, who is now seeking the Democratic Party’s nomination to to be its candidate for the 3rd Congressional District seat being vacated by Representative Steve Israel (D-Huntington), offered an overview of his campaign message for both the primary and general election campaigns as well as his thoughts on the current state of American politics. The event, attended by about three dozen district residents as well as by a number of current and former local elected officials, was hosted by Phil and Peggy Como. Mr. Suozzi, who led the County government from 2001 to 2009 and the City of Glen Cove for eight years prior to that, explained that his name recognition gave him an advantage over his three primary opponents and would enable him to avoid “going to the far left” in the primary contest and then veering to the right for the general election for a seat that many Republicans believe is vulnerable. Describing himself as a pragmatic centrist who knows how to get things done, he said he believed he could run with the same message in both campaigns and attract not only Democratic primary voters but also moderate Republicans and independents in November. That message, he explained would focus on the middle class and highlight his ability to get things done in a polarized political climate. The former County Executive then highlighted his work on former Governor Eliot Spitzer’s Property Tax Relief Commission and his proposal for and the eventual adoption by Albany of a 2% property tax cap as evidence of that quality. As for what needs to be done at the federal level, Mr. Suozzi said that he would focus most of his attention on just a couple of issues and and emphasized that his message would be about addressing the concerns of the middle class. Volunteering his thoughts on income inequality, an issue that has dominated the national conversation in the Democratic presidential primaries as well as a "town hall meeting" he held in February in Glen Cove, he explained that he believed that it was a problem and that the “middle class is shrinking”, but that it was far less a result of abuses by powerful interests and more an outcome of major structural changes in the global economy. Later, in response to a question concerning infrastructure investment, Mr. Suozzi said that both Democrats and Republicans agree that Corporate income taxes need to be lowered to discourage corporate inversions and “bring money back into the United States.” The increase in revenue that he anticipated would occur could be dedicated to infrastructure improvements. Asked to comment on the issue of Campaign Finance reform, he explained that the current system is a problem, especially in the wake of the 2009 Citizens United Supreme Court decision that has opened the floodgates of money flowing into Super PACs, but that he did not think it was an issue he would take up as a candidate. “You need one or two issues to focus on,” he explained, and did not think that that issue would be one that would catch fire with constituents in this district. Additionally, he said that since it was a Supreme Court decision it would be difficult to change the current financing rules with legislation alone. 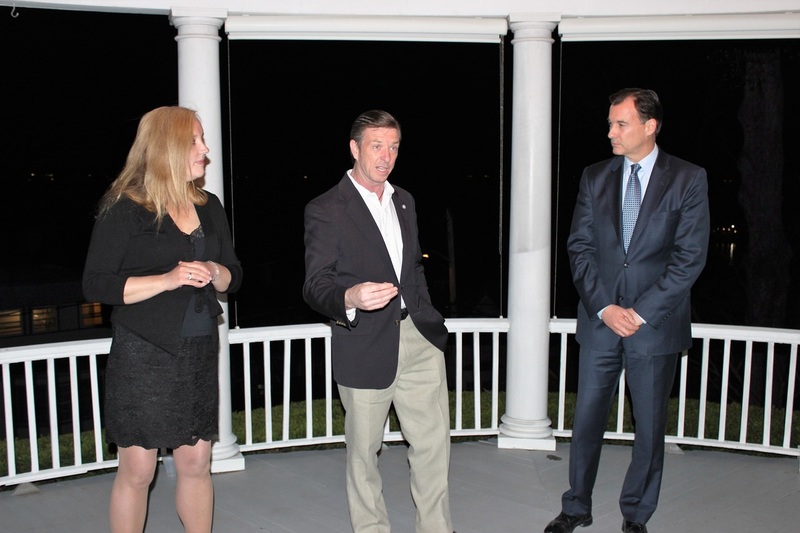 Local elected officials who attended Wednesday night offered their enthusiastic support of Mr. Suozzi, saying that he has the ability to be effective not only as a legislator who can help change the climate in Washington, but also as a representative who can bring home dollars for his district. County Legislator Delia DeRiggi Whitton said that Congressman Israel was effective in bringing federal dollars to his home district, citing $17 million for Glen Cove and other communities surrounding Hempstead Harbor for sewer systems and an additional $4 million that will enable a connection between the Sea Cliff Avenue line and the Glen Cove sewage treatment plant. Mr. Suozzi, she expected, would be similarly effective. Focused on the election in November, she said that State Senator Jack Martins, the likely Republican candidate, would be a tough competitor and that he was likely to receive significant financial support in a very competitive district that is seen as a potential pick-up for Republicans. 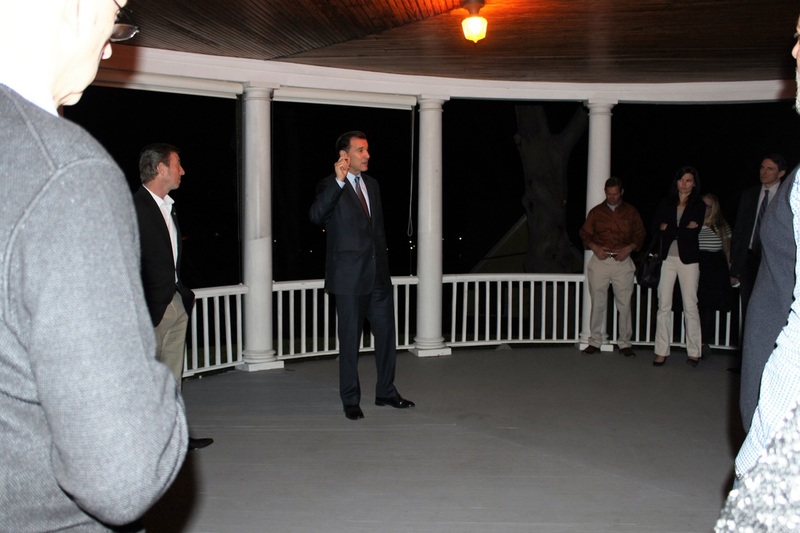 Sea Cliff Trustee Edward Lieberman, in remarks to Northwordnews, likewise said that Mr. Suozzi would be effective in representing local interests. “We need the powerful voice of Tom Suozzi in Washington so that our voices can be heard,” he said. Many of those who attended last Wednesday's event were there to offer their support to Mr. Suozzi, while others were there to further educate themselves as they consider all of the Democratic candidates. Other Democrats who have thrown their hats in the ring include lobbyist Brad Gerstman, former North Hempstead Supervisor and Nassau Interim Finance Authority (NIFA) chairman Jon Kaiman, North Hempstead Town Councilwoman Anna Kaplan, and Suffolk County Legislator Steve Stern of Dix Hills . The 3rd Congressional District Primary elections for the Democratic, Republican and third party nominations will be held on June 28 (not to be confused with the Presidential Primary elections to be held on April 19).